FACT CHECK: Did a 1912 Newspaper Article Predict Global Warming? 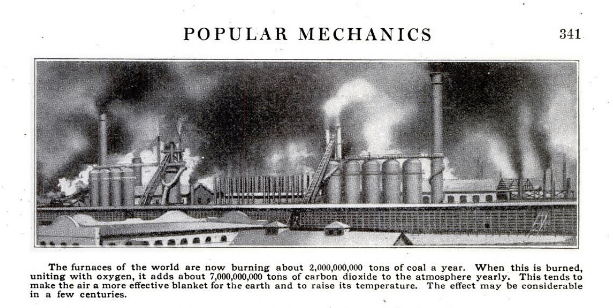 Did a 1912 Newspaper Article Predict Global Warming? A newspaper clipping from 1912 that anticipates the global warming potential of burning coal is authentic and consistent with the history of climate science. Further attesting to its authenticity (and perhaps its role as a bit of stock news used to fill space) is that an identical story had appeared in an Australian newspaper a month prior, in the 17 July 1912, issue of The Braidwood Dispatch and Mining Journal, as found in the digital archives of the National Library of Australia. Some online commenters expressed skepticism over the notion that such a clear understanding of the mechanisms relating to greenhouse gases existed in 1912, or that anyone back then would have suggested humans could play a role in altering their concentration. In fact, the timing of these news clips is consistent with the historical record. The world’s present production of coal reaches in round numbers 500 millions of tons per annum, or 1 ton per km of earth’s surface. Transformed into carbonic acid, this quantity would correspond to about a thousandth part of the carbonic acid in the atmosphere. While Arrhenius’ prediction [of warming] received great public interest, this typically waned in time but was revived as an important global mechanism by the great atmospheric physicist Carl Gustaf Rossby who initiated atmospheric CO2 measurements in Sweden in the 1950s. 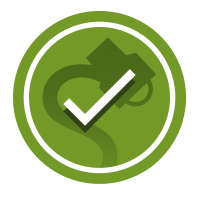 In this sense, the content and date of the newspaper clips in question are consistent with both what was known to scientists about greenhouse gases then and what the general public was interested in at the time.